Hegel’s Phenomenology of Spirit was a seminal work in shaping thinking about consciousness and history. 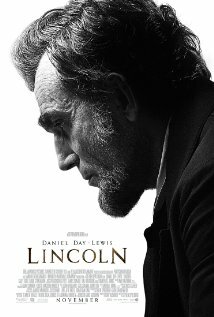 Steven Spielberg has created the cinematic equivalent of Hegel in Lincoln. You don’t need or want Hollywood if you’re trying to make a Bergman movie or Jules and Jim, but there’s a place for Hollywood when you’re seeking to create a sense of the grand and the majestic, the cinematic equivalent of a classic l9th century novel. And only the director of Schindler’s List, Saving Private Ryan, the hugely underrated A.I. and Empire of the Sun could have the resources to bring together so many iconic actors--Daniel Day-Lewis, Tommy Lee Jones, Sally Field, Hal Hobrook--in addition to the composer John Williams and the Chicago Symphony orchestra to make this Wagnerian Gesamtkunstwerk. What is remarkable is that the movie based upon Doris Kearns Goodwin’s The Political Genius of Abraham Lincoln moves so seamlessly from the private world (it’s fun to realize that Abe and Mary had the kind of guilt inducing fights that bring modern couples into marriage counseling) to the historical stage on which the politics by which the 13th Amendment to the constitution, outlawing slavery and involuntary servitude, is so keenly described. You begin to understand where Roosevelt and LBJ learned their lessons and you would wish Barack Obama would attend the same school, but history is the real subject of Lincoln and Spielberg’s liberal use of the close-up makes the movie look like Mount Rushmore. Those who grew up in the 50’s will remember Random House’s children’s series of Landmark Books which had titles like Lee and Grant at Appomattox. The imprint that Spielberg’s Lincoln leaves is a little bit like the power those simple titles had over the child’s imagination.